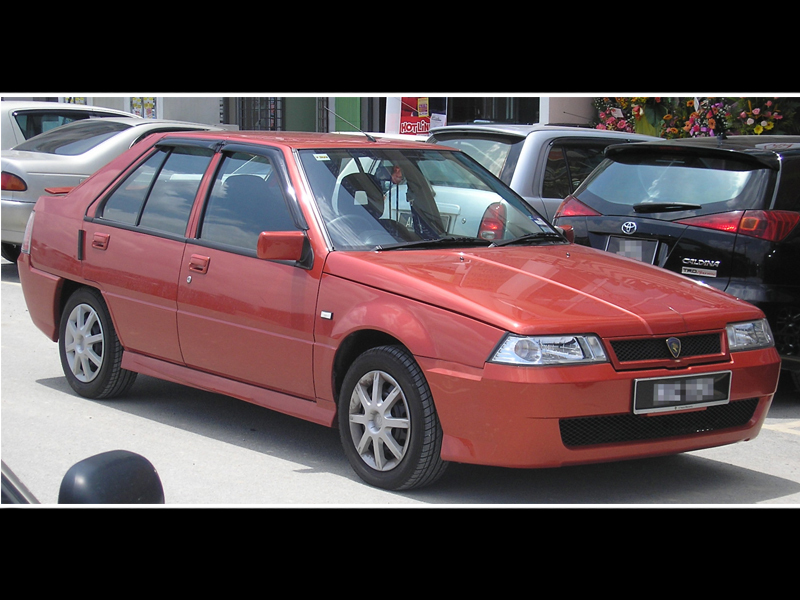 The first generation Proton Saga was the first car to be produced by Malaysian automobile manufacturer, Proton. It is based on the 1983Mitsubishi Lancer Fiore saloon as a result of a joint venture between the Malaysian government and Mitsubishi Motors of Japan. 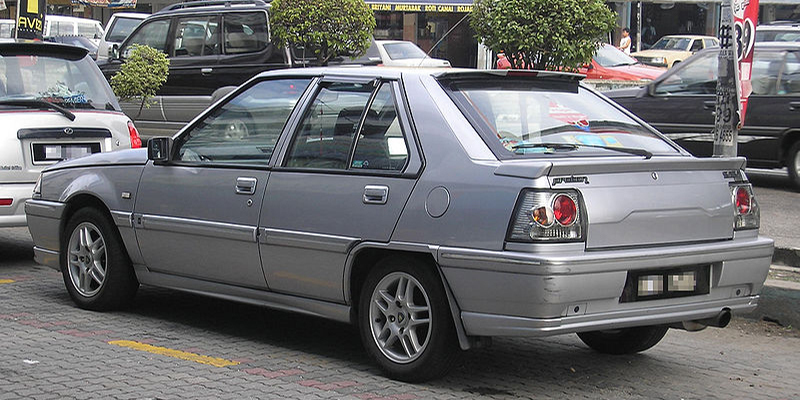 The Proton Saga was officially launched on 9 July 1985 by the former Malaysian Prime Minister, Mahathir Mohamad. It was initially available in a 4-door saloon guise, but was later complemented by a 5-door hatchback variant in 1987. The first generation Proton Saga was the longest reigning of all Proton cars, having been produced for 23 years until it was finally replaced by the second generation Proton Saga in early 2008. More than 1.2 million units of the first generation Proton Saga were sold, making it Proton's most successful offering to date. The concept of a National Car was first conceived in 1979 by Tun Dr. Mahathir bin Mohamad, the former Prime Minister of Malaysia with the goal of enhancing Malaysian industry. The National Car Project was approved by the Cabinet in 1982, leading to the official founding of Proton on 7 May 1983. The company was initially wholly owned by the government of Malaysia through Khazanah Nasionaland was headed by its founder, Dr. Mahathir. 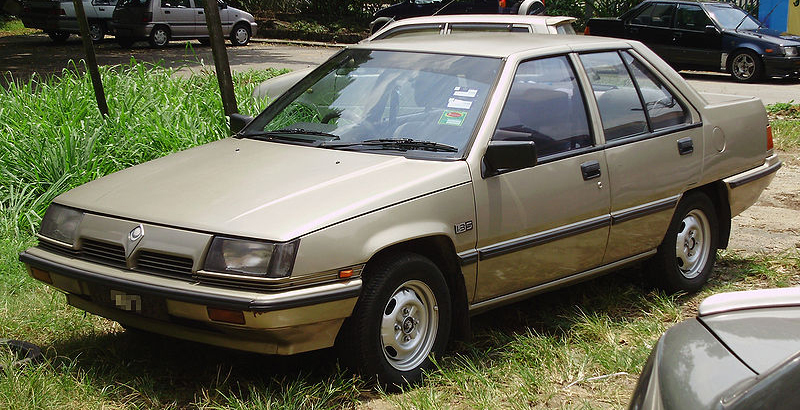 Proton approached Mitsubishi Motors between 1983 and 1984 and brokered a joint venture between both companies for the production of the first Malaysian car. 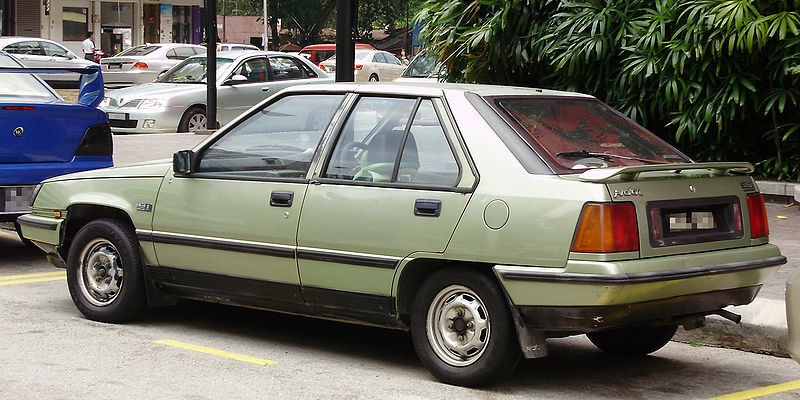 The result of the collaboration was the Proton Saga, which launched on 9 July 1985. It was based on the 1983 Mitsubishi Lancer Fiore saloon and was powered by a 1.3-litre Mitsubishi Orion 4G13 engine. 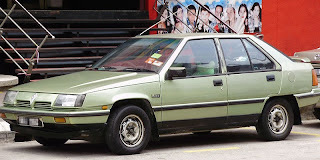 The first known Proton Saga to roll off the production line in Shah Alam is preserved at the Muzium Negara as a symbol of the beginning of the Malaysian automotive industry. The Saga became an instant national symbol of Malaysia. 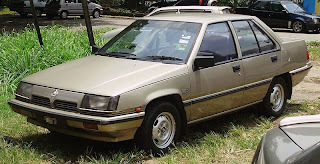 Dr. Mahathir later drove a prototype Proton Saga fitted with a 2.0-litre Mitsubishi Sirius 4G63 engine and a Jalur Gemilang across the Penang Bridgeduring its opening ceremony on 14 September 1985. Initially, Saga supplies were low, with just 700 vehicles produced in time for the launch. The cars sold quickly, and Proton was unable to meet public demand. However, by mid-1986, the Saga had captured a 64% majority domestic market share in the Below 1600cc segment. 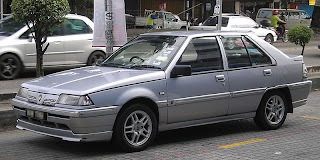 Proton first ventured into export markets in 1986, with Bangladesh receiving the Proton Saga on 26 December 1986, followed by New Zealand, Brunei, Malta and Sri Lanka in 1987. The 10,000th Saga was also produced in 1986. In 1986, Proton attempted to sell the Saga in the United States with the help of American automotive entrepreneur Malcolm Bricklin. Dr. Mahathir Mohamad, brainchild of Proton, had been impressed by Bricklin, who was advised to work with Proton on orders from the former U.S. Secretary of State,Henry Kissinger, who had previously taught Mahathir at Harvard University. Soon after the first Sagas were imported into the United States, Bricklin revealed that he had not gained approval from the authorities. This resulted in the termination of all investments between the involved parties and proved a major financial loss for Proton. 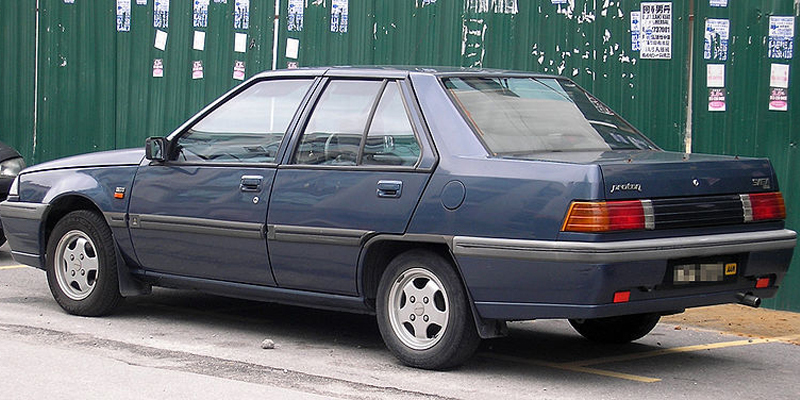 In January 1987, the Proton Saga 1.5L saloon was introduced. It was powered by Mitsubishi's 1.5-litre Orion 4G15 engine, but remained largely unchanged exterior-wise to the 1985 Saga. 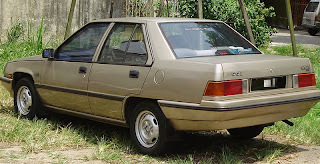 Later in October 1987, a hatchback variant called the Proton Saga Aeroback was launched. It shared the same 1.5L engine found in the saloon variant, but featured a redesigned rear end which was unique to Proton. 1987 also witnessed the production of the 50,000th Saga. The Proton Saga made its English public debut at the 1988 British International Motorshow, where it won three Prestigious Awards (two golds and one silver) for quality coachwork and ergonomics. The Saga was also voted among the Top 10 best cars at the show. 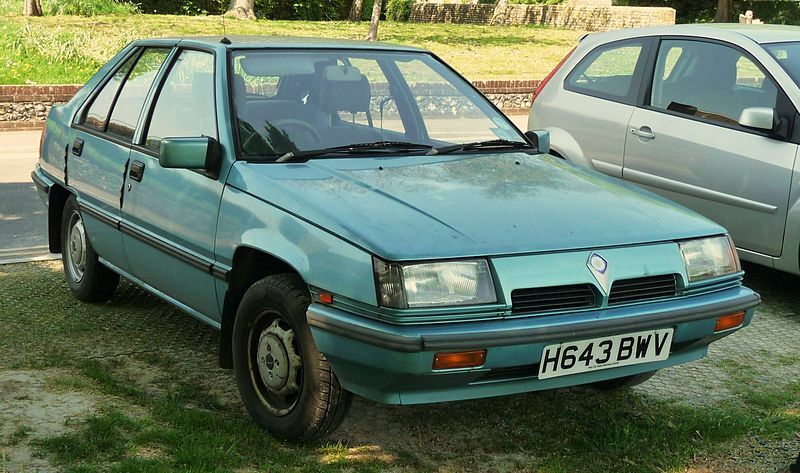 1988 witnessed Proton's entry into the Jamaican and Irish markets, along with the 100,000th Saga produced. On 16 March 1989, Proton commercially launched the Saga saloon and hatchback duo in the United Kingdom. The Saga models were renamed Proton 1.3 and Proton 1.5 respectively according to their engine displacement in addition to a suffix such as S.E. or G.L. which denoted its trim. The U.K. models also differed slightly from their Malaysian counterparts. All U.K. models were equipped with the original Mitsubishi Lancer Fiore dashboard and rear reflector lamps to pass U.K. safety regulations. 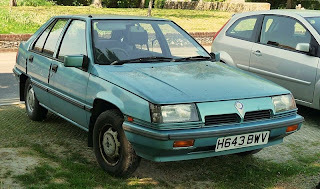 Britain also received many limited edition models such as the Proton Puma, Lynx, Emerald and SE Le Mans, all of which were Proton Sagas with higher trim levels and more equipment. Proton advertised their models with the slogan Japanese Technology, Malaysian Style in the United Kingdom. Proton later went on to set the record for the Fastest Selling Make of New Car Ever to Enter the United Kingdom. The Saga also went on sale in Singapore in October 1989. In August 1990, Proton introduced the more powerful Proton Saga 12-valve Mega Valve for the domestic market. The exterior was altered slightly with a new grille, black trim strips and rims along with the inclusion of rear seat belts and a third brake light as standard equipment. 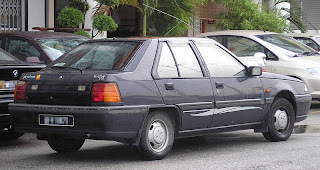 The company also made a unique limousine version of the Proton Saga which was used by the then Prime Minister of Malaysia, Mahathir Mohamad. It was 25 percent longer than the Proton Saga saloon and featured a built-in freezer, in-car entertainment system and a television. The 200,000th Saga rolled off the production line on 16 May 1990. 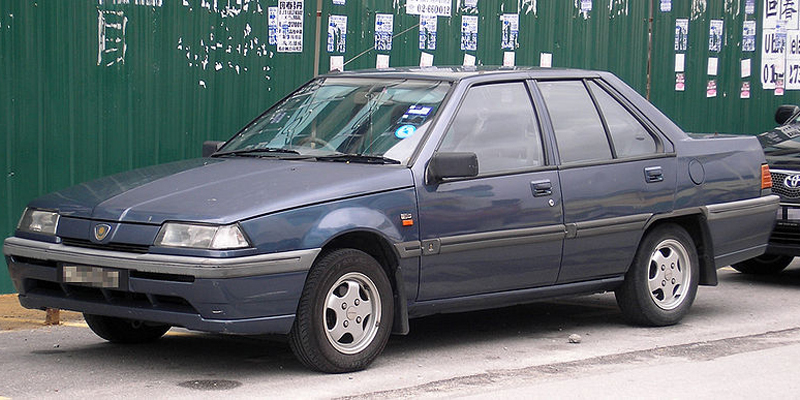 Proton launched the facelifted Proton Saga 12-valve in the United Kingdom on 10 January 1991. The power output from the 1.3L engine was upped to 77bhp and the 1.5L offered 85bhp. On 22 September that year, the Proton Saga won two gold awards at the British International Motorshow for the second time. The Saga was also launched in the small African nation of Malawi in December 1991. By then Proton had managed to export 40,151 units, of which 33,291 were to the United Kingdom, with 3,699, 1,160 and 847 to Singapore, Ireland and New Zealand, respectively. The 300,000th Saga was also produced in 1991, and locally manufactured Saga parts rose to 69% after the opening of the Engine and Transmission Factory in Shah Alam in that same year. 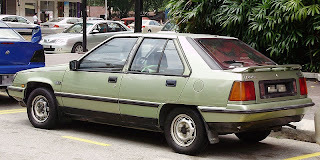 On 15 August 1992, the Proton Saga Iswara (also known as Proton Iswara) was launched by Tun Dr. Mahathir bin Mohamad at Dataran Merdeka, Kuala Lumpur. It was named after the Great Helenbutterfly (Papilio iswara) of Sarawak. The new Saga Iswara shared the platform found in the previous iteration, but received slimmer headlights, plastic bumpers, side mouldings, coloured door handles, grooved tail light clusters and a more modern interior. Additionally, the rear license plate bracket was repositioned to the bumper instead of the boot. Just like its predecessor, the Saga Iswara was available in 4-door saloon and 5-door hatchback guises and was equipped with the same Mitsubishi Orion 1.3L and 1.5L carburetor engines for the Malaysian market. However, models exported toSingapore and the United Kingdom were available with multi-point fuel injection and catalytic converters to meet Euro I emission standards. The saloon version of the Saga Iswara was widely used as taxicabs in Malaysia in the 1990s and 2000s. Most were converted to NGVs for greater fuel efficiency. Many Saga Iswara taxicabs are still in use today, but they are being phased out in favour of the newer Proton Persona taxi. The Saga Iswara was also infamously featured in an episode of the popular television show, Mr. Bean. In 2001, Proton introduced the Iswara Aeroback Special Edition. It was based on the Saga Iswara Aeroback hatchback but was offered with a new body kit, metallic rear wing, 14-inch alloy rims and Altezza lights among other updates. The interior was largely unchanged from the previous iteration. It was only available in metallic silver, with the five-speed manual transmission and 1.3-litre 4G13 engine from its predecessors. Nonetheless, the Iswara Aeroback S.E. was the first in its lineage to receive ride and handling input from Lotus. 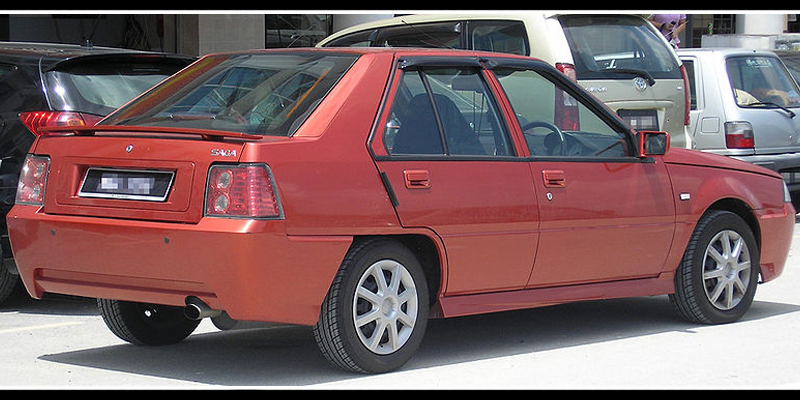 The modifications were later adopted for use in the Proton Saga LMST. The Proton Saga LMST hatchback was introduced in 2003 as the successor to the Iswara Aeroback S.E.. 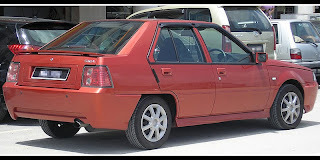 Despite sharing the same, ageing platform with the original Proton Saga from 1985, the new Saga LMST featured a completely redesigned dashboard, instrument panel with a digital display consisting of an odometer, a fuel gauge and a temperature gauge as well as new two-tone, red-on-black interior panels. On the exterior, the car received a new front grille, head lights, tail lights, front & rear bumpers and a rear spoiler. The rear number plate bracket was also repositioned to the boot, and the rear bumper on later variants featured parking sensors, a first in the Saga lineage. Proton mated the tried and tested 1.3L Mitsubishi 4G13 carburetor engine with a new exhaust system and extractors, increasing the Saga LMST power rating to 83bhp (62kW) at 6,000rpm and 109Nm of torque at 4,000rpm. It was only available in two trim lines, both limited to a 5-speed manual transmission. The brakes were discs at the front and drums at the rear. The Saga LMST was not equipped with airbags or ABS. Proton redesigned the exterior and interior of the Saga LMST in favour of sportiness over practicality. The glove compartment is of the open-type, offering less storage space and the muffler produced more noise without any real gain in power. As a result, the Saga LMST became less appealing to the general population and sales plummeted significantly. In late 2006, Proton updated the Saga LMST. It received mainly cosmetic changes; a unique front grille, 14-inch hubcaps, headlights and taillights. There were several minor changes on the interior as well. It was only available in two colours, black and orange, and was limited to the Mitsubishi 4G13 1.3L engine, mated to the five-speed manual transmission. The updated Saga LMST reflected less overall sportiness, opting for a more generic design instead which would appeal to a larger audience. 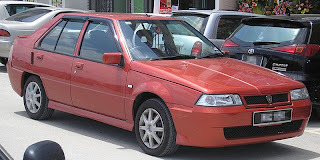 Proton introduced this model in Pakistan on 15 September 2006. On 4 March 2007, Proton launched the 50th Merdeka Anniversary Promotion in Malaysia. 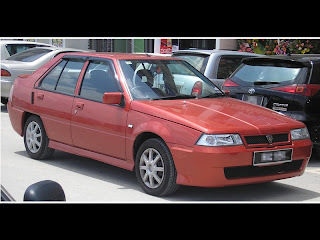 The final facelift model of the final iteration came in the form of the Proton Saga LMST 50th Merdeka Anniversary Edition. It is almost identical to the 2006 Saga LMST, with the only visible differences being the reduced exhaust pipe diameter and slightly altered rear lamps. Most noticeably, it was sold at a discount price of just RM26,999 as opposed to the former RM33,240 price tag. The promotion was made in view of Malaysia's 50th Merdeka celebrations and as a symbol of Proton's gratitude to their customers. That year, the Proton Saga became the second best selling car behind the Perodua MyVi. This version is quite notably the fastest and lightest version of the first generation Saga series Proton has ever produced. However, like the previous iterations, it was not equipped with sufficient safety equipment. The Saga LMST was also the last carburetor-powered vehicle to be sold in Malaysia. Last updated on 15 July 2013 at 12:03.